Become the favourite child & treat Dad to one of these gifts. As we are all about bringing you individual and exciting products and experiences, we think everybody’s Dad deserves a gift out of the ordinary this Father’s Day. Ditch the boring socks and aftershave, here at Smith & Sinclair we have come up with our top 4 unique gifts to inspire you this Father’s Day. Part of a dad’s job is to embarrass us and show off their ‘manliness' by kicking up a stench, they can’t deny how proud they are of the foul odour that they leave behind. Aesop cosmetics have created a silly, but seriously needed, product for you to treat your Dad this Father’s Day. Allow him to leave a beautiful trail of citrus peel and discreet florals after his number 2. Aesop men’s premium poo spray is a classy but funny gift to give your old man this Father’s day. 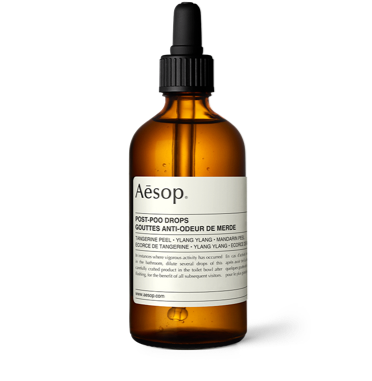 Post-Poo Drops retail at £20 for 100ml from Aesop. Does your dad have a story behind every single topic that is discussed? Allow him to present his travels on a bigger picture with this World Scratch Map that helps him make his mark on the world. After visiting a specific country, he can scratch off the map to reveal a colourful representation of his world voyage. Ideal for all those adventure-seeking Dads out there. Get your Dad to smell as good as David Beckham and buy this product range at £18, available from Debenhams.